Natasha is currently a producer for a daily lifestyle show, The Hub Today, which airs on WBTS, the NBC affiliate in Boston. The show is produced in New York where she also contributes to the New York version of the show, New York Live. Natasha has previously worked as a line producer, segment producer and field producer at the Fox Business Network, Headline News (the sister network of CNN), ABC News and NY1. She has covered several presidential elections, global stock markets, terror attacks, New York Fashion week, March Madness and many other major news events. Natasha started her career in Madison working at WKOW-TV and WISC-TV. 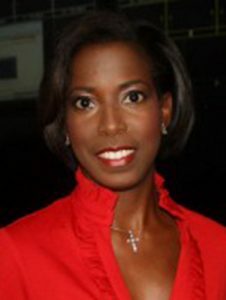 Natasha is a long-time member of the National Association of Black Journalists. Natasha is also an alum and active supporter of A Better Chance Inc.
Natasha has been a member of the University of Wisconsin School of Journalism and Mass Communications Board of Visitors since 2010, was named as a Wisconsin Alumni Association ‘Forward Under Forty’ honoree in 2013 and was humbled by the distinguished honor of being one of those recognized in Alumni Park in 2017. Natasha received her master’s degree from the University of Wisconsin-Madison SJMC and her undergraduate degree in African American Studies from the University of Maryland at College Park.